Love this gallery of the year in White House photos. 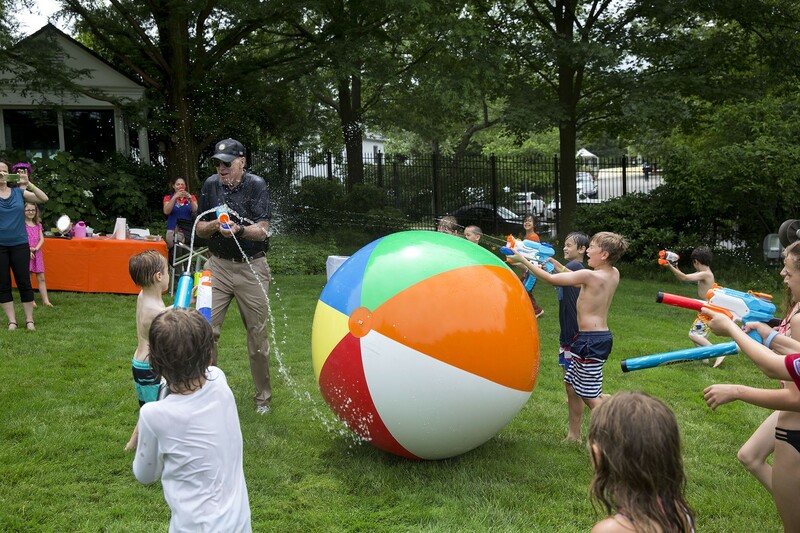 Imagine having the story about the time you got to shoot the vice-president with your super soaker. The recent episode regarding the House Ethics committee is doubly disturbing. First, on it’s substance, of course. Right, as if Congress needs to take Ethics less seriously. I’ll save the substance for later, as the House GOP has backed down for now. Secondly, the horrible, irresponsible media coverage of the matter. I actually had to explain the reality to my wife yesterday, who can absolutely be forgiven for getting the wrong impression just by seeing headlines. The careful reader will note that Trump actually described the current ethics arrangement as “unfair” — signaling support for criticism of it — and then only questioned House Republicans’ decision to make reversing it their first priority. He questioned not the act of gutting the office, but rather the timing of it. Now, many of the above headlines were narrowly accurate in the sense that the House GOP decision to reverse course did come after Trump’s tweet, chronologically speaking. And it’s certainly possible that House Republicans reversed course in part because of Trump’s criticism of their timing. But nonetheless, these headlines and tweets create a highly misleading impression. Any casual reader would come away from them convinced that Trump had taken a position in the underlying dispute that is counter to that of House Republicans who sought to gut the office — that he had criticized Republicans for the act of weakening ethics oversight. Among other things, what is totally ignored in most of these stories is that there was plenty of actual, substantive, backlash, rather than Trump’s tweeted criticism of the timing. Given that the House GOP reversed course, I’d like to think that the substantive response mattered. But, apparently, that’s a less interesting story. Today, I’d like to ask for your indulgence as I propose another rule of thumb: If a casual reader would come away from your headline persuaded that Trump has adopted a clear stand that he hasn’t really adopted, then the headline is misleading and something is wrong. The threshold question here should be what impression a headline would leave with a reader who is skimming it. If it risks leaving a misleading impression, then it risks misinforming people. Trump often takes extremely slippery positions, making it more important to exercise care to avoid this. In this particular case, this is not a narrow, nitpicky criticism. It’s central to understanding the situation. I must say, the nature of this episode does not give me a lot of confidence in how well the media will fare in covering Trump for the next four years. They seem far more interested in fitting Trump’s tweets into pre-existing narratives than in actually covering the reality of the world. Ugh.